"Popcorn may be the perfect snack food. It's the only snack that is 100 percent unprocessed whole grain." "One serving of popcorn will provide more than 70 percent of the daily intake of whole grain. The average person only gets about half a serving of whole grains a day, and popcorn could fill that gap in a very pleasant way." "One serving of popcorn contains up to 300 mg of antioxidants, nearly double the 160 mg found in fruit per serving." 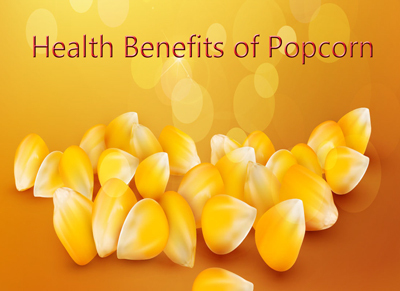 Popcorn is a whole grain food that contains high concentrations of dietary fiber, which can help in digestion. It is rich in antioxidants, that help protect your body against free radicals. It is the shell where the nutritional benefits are. Popcorn has more protein than any other cereal grain, as well as large amounts of iron, Riboflavin and Thiamine. All types of corn are gluten-free , including popcorn. We use iodized salt. Worldwide, iodine deficiency affects two billion people and is the leading preventable cause of learning disabilities. Unlike the popcorn often found in movie theaters or grocery stores, we never use chemical flavorings or preservatives. Our popcorn is cholesterol-free, with no trans-fat.